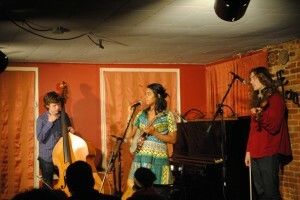 “Now I’m going to change the vibe in here entirely,” Leyla commented as she switched from a more solemn piece to the upbeat call-and-response chorus of Manman Mwen, And as she eased into the exchange of “Manman Mwen, Manman Mwen”— her, audience, her, audience—the atmosphere noticeably shifted. It is this element of connecting through music that makes Caffè Lena so special. The artist crafts the atmosphere and sends out a common feeling that everyone relates to in his or her own way. Given the intimate size of the venue, the vibe is more vulnerable than it would be in a larger space. When I first enter the Caffè, I am greeted by welcoming wooden floors, trodden upon by folk legends from decades past, and the faint scent of coffee. As I turn the corner, I see a few members of the sound crew scattered around the room, a bassist and a fiddler on stage and between them, Leyla McCalla. She greets me with a warm smile. I take a seat as Leyla and her band finish up with the sound check. She joins me at a table a couple rows from the stage after the sound check is complete. It’s about an hour before the performance and Leyla is completely relaxed. She treats me as though we have all the time in the world. 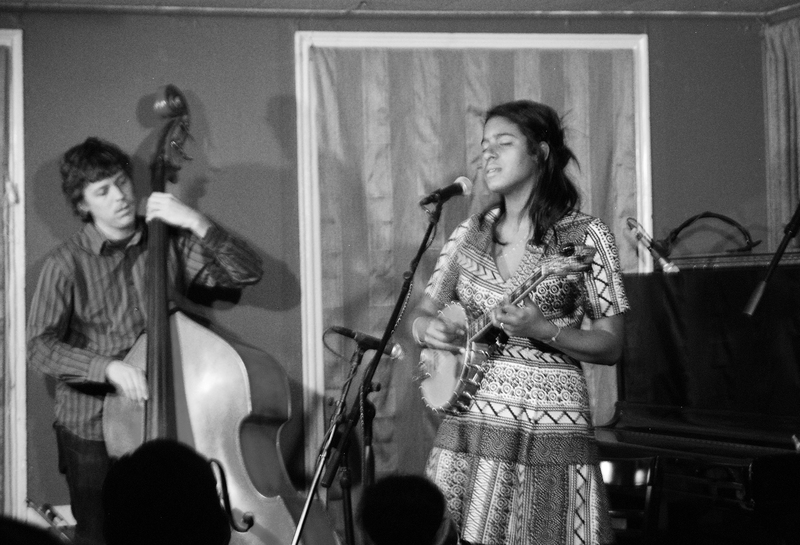 Leyla was born and raised in New York City, the daughter of Haitian immigrants, and spent most of her childhood in Maplewood, New Jersey, where she began playing the cello. At age 15, she moved to Ghana for a year, where she developed a whole new way of looking at the world. This year in Ghana, in combination with several shorter trips to Haiti, inspired her to reconnect with her Haitian roots. 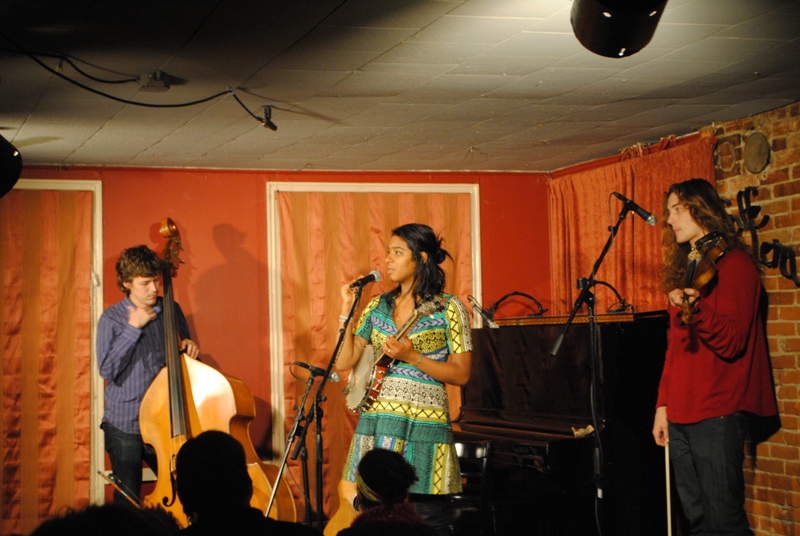 All the while, she continued playing cello and at age 18, she began studying classical music at NYU. As her interest in Haitian culture grew, however, her musical style began to take on a new form. Much of the inspiration that spurred this new direction came from the people she met and places to which she traveled. At age 18, while she was studying at NYU, she met Canadian-American cellist Rufus Cappadocia at a party. She was thrilled when she heard about his performances of Haitian music. She garnered further inspiration from her aunt, who had toured with Haitian bands, and from her best friend’s mother, a folk musician. In addition to drawing upon the experiences of these people, Leyla drew upon her experiences in different places in shaping her new direction. Her time in Ghana inspired her to explore her Haitian roots and when she moved to New Orleans, Louisiana, she developed an even greater connection to this new style. She sees a lot of parallels between Louisiana and Haiti, both historically and culturally, and she feels at home in the vibe there. I asked her about how it feels to perform in different venues and for her it is the small, intimate ones that provide the best performance spaces. She glanced around the Caffè at this moment and said, “I expect we’ll have a listening audience tonight.” And a listening audience it was, but not entirely silent. Several songs into the performance, a man in the second row of tables piped up: “What a beautiful instrument! Where did you get your cello?” She took the time, then, to tell the audience about how she began playing cello. 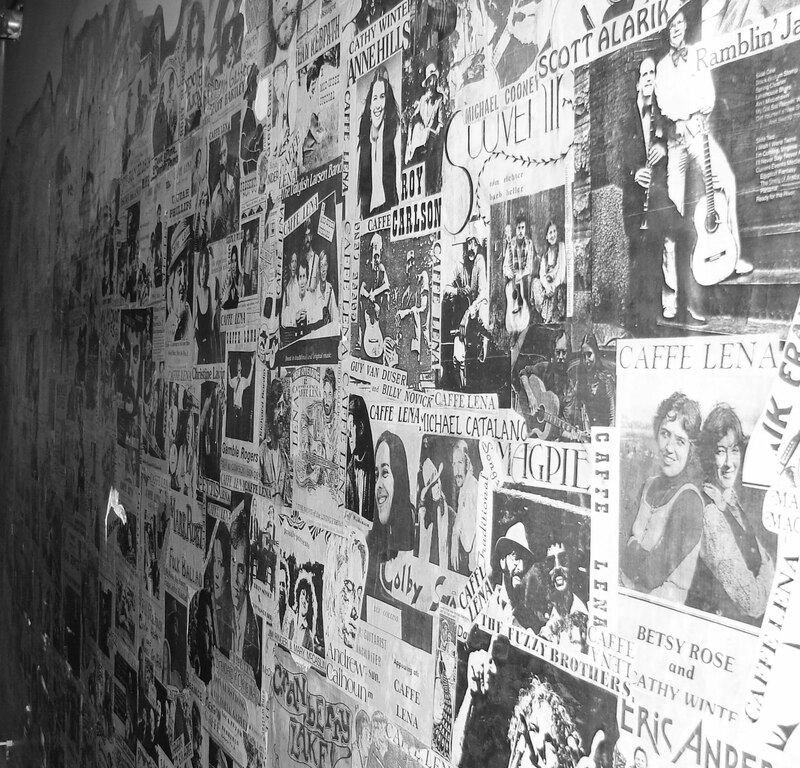 Perhaps it is this aspect of music communicated in an intimate space that inspired one Caffè Lena-goer to write on the wall of the bathroom, “Everything in life I needed to learn I have learned here at Caffè Lena.” Each artist and audience member contributes to a unique experience that unfolds at the time of each performance and inspires an exchange of personal stories while adding a new page to everyone’s own personal history. As Leyla said during her show, “There are no rules. You make it up as you go along.” I think this is a sentiment with which Lena Spencer would agree.